We’ve put together answers from some of the most frequently asked questions by our tenants. If you have a question that isn’t answered here, feel free to give us a call or email us and we’d be happy to help. Are you a member of a deposit protection scheme? Who will set up the utilities now that I’ve moved in? This is something you’ll have to do yourself as the new account holder. We’ll provide you with accurate meter readings, and can also recommend a list of companies who you can use for your utilities. Don’t forget to sort out your TV licence as well. It varies depending on your Local Authority, so if you go to their website you’ll be able to see the council tax rates for each band. We’ll let you know which tax band applies to your home. All of our tenants are required to set up a direct debit. You’ll find the paperwork in your welcome kit. What do I do if I have a problem with the property or repairs are needed? 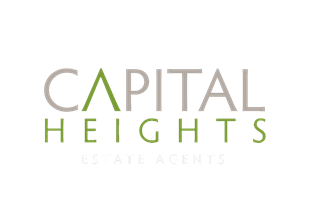 If your property is managed by Capital Heights, you can call our direct line or email us with details of the issue. The property management department is open from 10am to 6pm weekdays. If your property is not managed by us, you’ll need to contact your landlord or property manager directly. For any general queries, feel free to give us a call on 0207 078 0077. I want to move out early – what do I do? If you move out early you might be subject to penalties, take a look at the terms and conditions of your lease before deciding whether this is the right move for you. If it is, you’ll need to send us an email with the details of when you want to move out. We’ll take it from there. If you want to leave before your tenancy is completed, you’ll have to send us an email setting out the details of when you want to move out. Bear in mind you might be subject to some penalties for leaving early, so always check the terms of your lease first. If you want to leave at the end of the lease, you don’t need to do anything special. We’ll contact you before the end of the lease to ask if you want to extend, but if we haven’t it’s a good idea to let us know in advance that you’ll be moving out. How can I get my Tenancy Deposit back? Once you’ve moved out and the check-out inventory has been completed, we’ll speak with the landlord and receive instructions to return the deposit. If there are any deductions to be made, for example if inventory items have been broken or removed, we’ll discuss this with you so you know exactly how much will be returned to your account. You should expect to have your deposit returned around two weeks after the final inventory check-out. If there are any disagreements about the amount to be returned, you and the landlord will have access to an independently-managed dispute resolution process. If you’d like to extend your lease beyond the initial term, please send us an email at least 60 days before your lease expires.